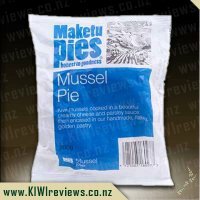 One of the best fish pies I have ever tried. 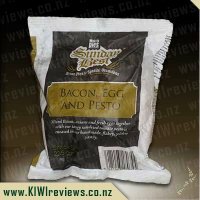 Not a great seafood fan really but have been known to enjoy a nicely cooked piece of crumbed fish from a quality takeaway joint if they do a good job of it. 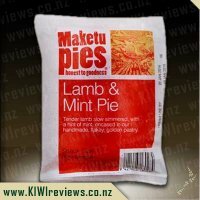 I was really impressed at the pie because it was very filling and had a really pleasant flavour. 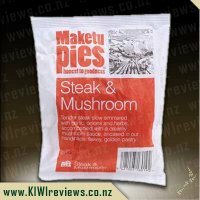 Not too strong and yet still with a nice taste that came through the creamy sauce. 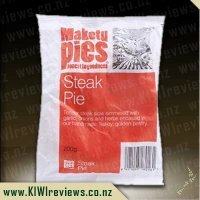 The pastry was light but sturdy and didnt fall apart even though this pie was cooked in the microwave. 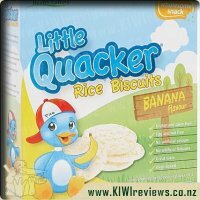 It wasnt even chewy either. 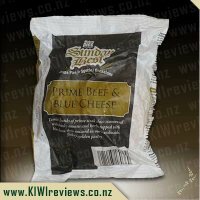 The price was by far the most impressive bit since it is cheaper than most of the small overcooked meatbricks you get at supermarkets or petrol stations and yet is really nice to eat. 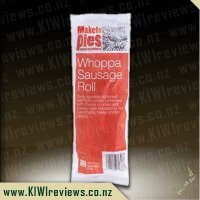 Worth every cent and more. 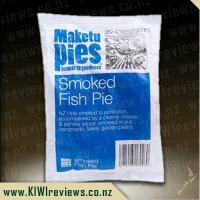 I will admit I was a bit wary about trying it, but decided "what the heck", I like pies, and I like most varieties of Smoked Fish. 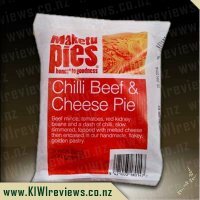 So in the microwave it went, and with only a flicker of hesitation, I gave it a go. 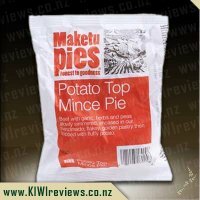 A mouth-watering aroma teased my nose the moment it came out of the microwave, and the taste certainly lived up to the promise given by its smell- full of rich "fishy" flavour while being creamy and smooth in texture, and with a light golden pastry that while mildly flaky, wasn&apos;t doing the usual "pastry rain" I&apos;m used to with most pies. 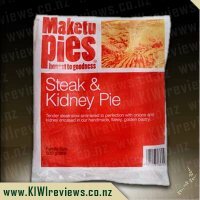 It was indeed an enjoyable meal, with me contemplating having a second once I&apos;d finished it. 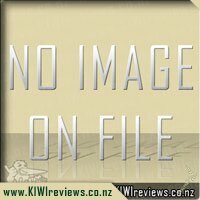 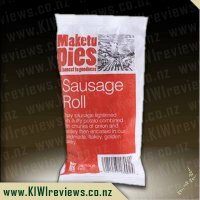 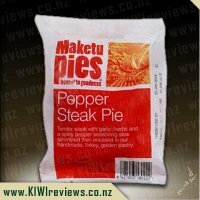 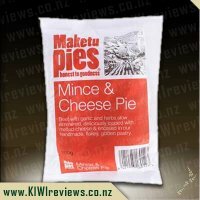 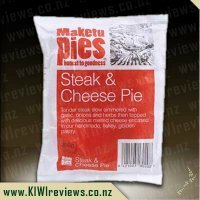 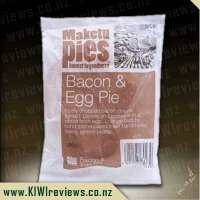 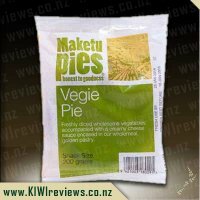 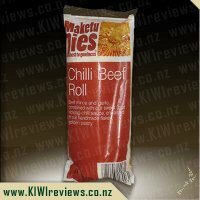 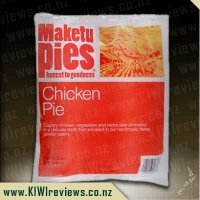 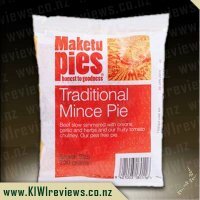 Now I&apos;m rather looking forward to trying some of the other unusual flavoured pies Maketu have in their range, and strongly suggest that if you like smoked fish at all, to give the pie a go. 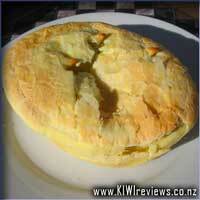 I am not a great fan of Fish Pie, but I have to admit this one was quite impressive. 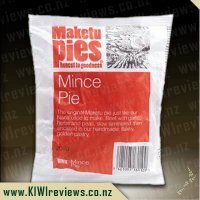 Full of flavour, tasty pastry, the only gripe I had with it was that as usual for Fish Pies, there was no real bite to it. 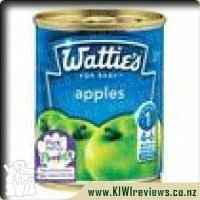 It was fish gravy. 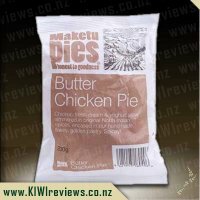 Overall, still a very tasty pie, and if you like Fish Pies, you'll certainly enjoy this fine sampling from the bakery wizards at Makatu.